The Orient Express was the name of a long-distance passenger train service created in 1883 by Compagnie Internationale des Wagons-Lits (CIWL). On this date in 1883 the original Orient Express began its first official run. There had been some previous trials but this was the beginning of the scheduled service. There is a certain amount of confusion in the popular mind about the Orient Express because it is often thought of as a particular train with a particular route. But the route and rolling stock of the Orient Express changed many times. Several routes in the past concurrently used the Orient Express name, or slight variants thereof. Although the original Orient Express was simply a normal international railway service, the name has become synonymous with intrigue and luxury travel. 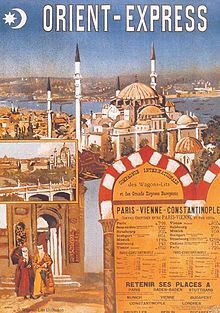 The two city names most prominently associated with the Orient Express are Paris and Istanbul, the original endpoints of the timetabled service. 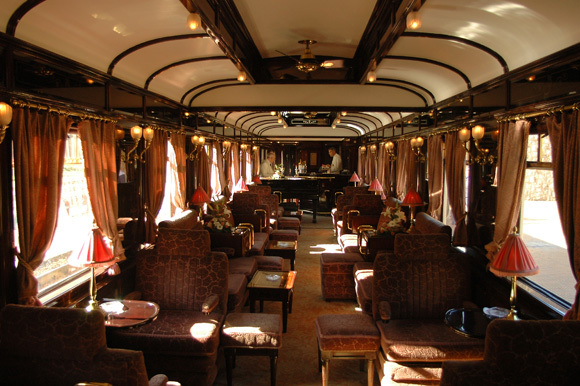 The Orient Express was a showcase of luxury and comfort at a time when traveling was still rough and dangerous. 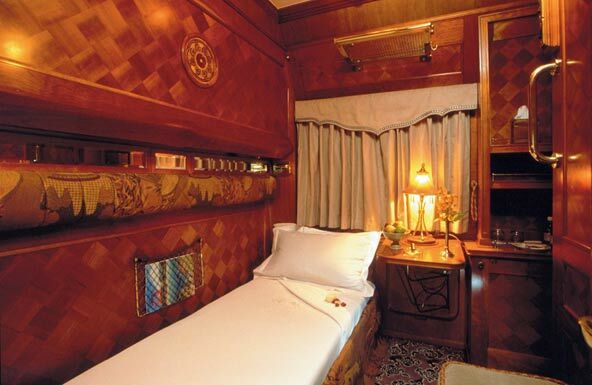 CIWL soon developed a dense network of luxury trains all over Europe, whose names are still remembered today and associated with luxury travel. Such as the Blue Train, the Golden Arrow, North Express and many more. CIWL became the first and most important modern multinational dedicated to transport, travel agency, hospitality with activities spreading from Europe to Asia and Africa. In 1977, the Orient Express stopped serving Istanbul. Its immediate successor, a through overnight service from Paris to Vienna, ran for the last time from Paris on Friday, June 8, 2007. After this, the route, still called the “Orient Express”, was shortened to start from Strasbourg instead, occasioned by the inauguration of the LGV Est which affords much shorter travel times from Paris to Strasbourg. The new curtailed service left Strasbourg at 22.20 daily, shortly after the arrival of a TGV from Paris, and was attached at Karlsruhe to the overnight sleeper service from Amsterdam to Vienna. On 14 December 2009, the Orient Express ceased to operate and the route disappeared from European railway timetables, reportedly a “victim of high-speed trains and cut-rate airlines”. 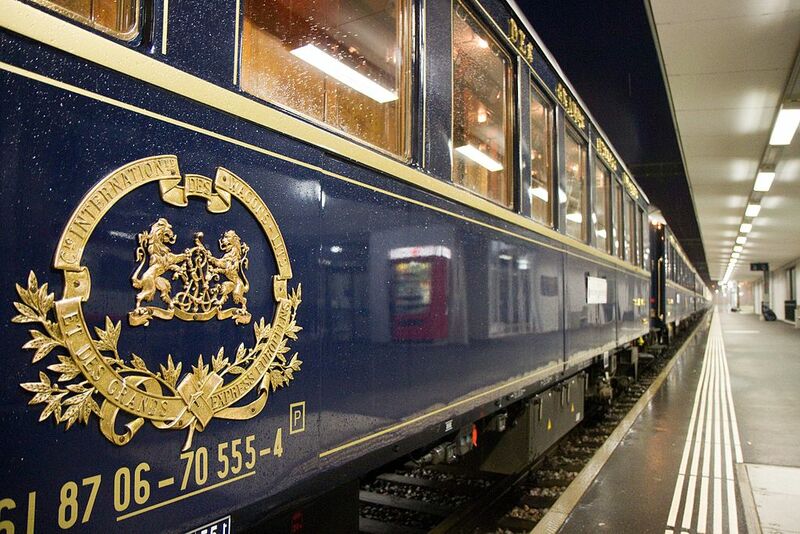 The Venice-Simplon Orient Express train, a private venture by Orient-Express Hotels Ltd. using original CIWL carriages from the 1920s and 30s, continues to run from London to Venice and to other destinations in Europe, including the original route from Paris to Istanbul. As a trial, in 1882, Georges Nagelmackers, a Belgian banker’s son, invited guests to a railway trip of 2,000 km (1,243 mi) on his ‘Train Eclair de luxe’ (lightning luxury train). The train left Paris Gare de l’Est on Tuesday, October 10, 1882, just after 18:30 and arrived in Vienna the next day at 23:20. The return trip left Vienna on Friday, October 13, 1882, at 16:40 and, as planned, re-entered the Gare de Strasbourg at 20:00 on Saturday October 14, 1882. Georges Nagelmackers was the founder of Compagnie Internationale des Wagons-Lits, which expanded its luxury trains, travel agencies and hotels all over Europe, Asia and North Africa. Its most famous train remains the Orient-Express. The first menu on board (October 10, 1882): oysters, soup with Italian pasta, turbot with green sauce, chicken ‘à la chasseur,’ fillet of beef with ‘château’ potatoes, ‘chaud-froid’ of game animals, lettuce, chocolate pudding, buffet of desserts. 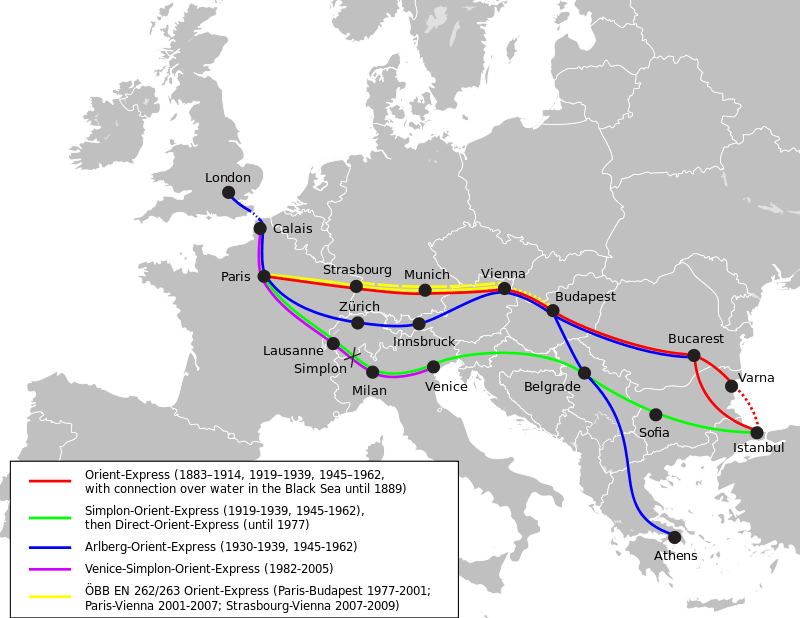 The original scheduled route of the Orient Express, which first ran on October 4, 1883, was from Paris, Gare de l’Est, to Giurgiu in Romania via Munich and Vienna. At Giurgiu, passengers were ferried across the Danube to Ruse, Bulgaria, to pick up another train to Varna. They then completed their journey to Istanbul by ferry. In 1885, another route began operations, this time reaching Istanbul via rail from Vienna to Belgrade and Niš, carriage to Plovdiv and rail again to Istanbul. In 1889, the train’s eastern terminus became Varna in Bulgaria, where passengers could take a ship to Istanbul. On June 1, 1889, the first non-stop train to Istanbul left Paris (Gare de l’Est). Istanbul remained its easternmost stop until May 19, 1977. The eastern terminus was the Sirkeci Terminal by the Golden Horn. Ferry service from piers next to the terminal would take passengers across the Bosphorus to Haydarpaşa Terminal, the terminus of the Asian lines of the Ottoman Railways. The onset of World War I in 1914 saw Orient Express services suspended. They resumed at the end of hostilities in 1918, and in 1919 the opening of the Simplon Tunnel allowed the introduction of a more southerly route via Milan, Venice and Trieste. The service on this route was known as the Simplon Orient Express, and it ran in addition to continuing services on the old route. The Treaty of Saint-Germain contained a clause requiring Austria to accept this train: formerly, Austria allowed international services to pass through Austrian territory (which included Trieste at the time) only if they ran via Vienna. The Simplon Orient Express soon became the most important rail route between Paris and Istanbul. The 1930s saw the zenith of Orient Express services, with three parallel services running: the Orient Express, the Simplon Orient Express, and also the Arlberg Orient Express, which ran via Zürich and Innsbruck to Budapest, with sleeper cars running onwards from there to Bucharest and Athens. 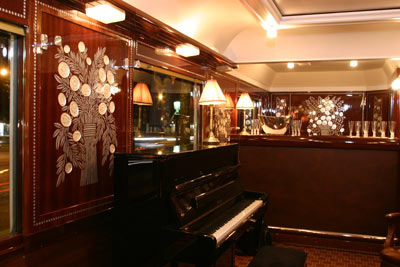 During this time, the Orient Express acquired its reputation for comfort and luxury, carrying sleeping-cars with permanent service and restaurant cars known for the quality of their cuisine. Royalty, nobles, diplomats, business people and the bourgeoisie in general patronized it. Each of the Orient Express services also incorporated sleeping cars which had run from Calais to Paris, thus extending the service right from one edge of continental Europe to the other. The start of the Second World War in 1939 again interrupted the service, which did not resume until 1945. During the war, the German Mitropa company had run some services on the route through the Balkans, but Yugoslav Partisans frequently sabotaged the track, forcing a stop to this service. Following the end of the war, normal services resumed except on the Athens leg, where the closure of the border between Yugoslavia and Greece prevented services from running. That border re-opened in 1951, but the closure of the Bulgarian–Turkish border from 1951 to 1952 prevented services running to Istanbul during that time. As the Iron Curtain fell across Europe, the service continued to run, but the Communist nations increasingly replaced the Wagon-Lits cars with carriages run by their own railway services. The withdrawal of the Direct Orient Express was thought by many to signal the end of Orient Express as a whole, but in fact a service under this name continued to run from Paris to Budapest and Bucharest as before (via Strasbourg, Munich, and Budapest). This continued until 2001, when the service was cut back to just Paris–Vienna, the coaches for which were attached to the Paris–Strasbourg express. This service continued daily, listed in the timetables under the name Orient Express, until June 8, 2007. However, with the opening of the LGV Est Paris–Strasbourg high speed rail line on June 10, 2007, the Orient Express service was further cut back to Strasbourg–Vienna, departing nightly at 22:20 from Strasbourg, and still bearing the name. In Bram Stoker’s Dracula (1897), Dracula escapes from England to Varna by sea, but the cabal sworn to destroy him travels to Paris and takes the Orient Express, arriving in Varna ahead of him. In Flashman and the Tiger by George MacDonald Fraser: Sir Harry Paget Flashman travels on the train’s first journey as a guest of the journalist Henri Blowitz. 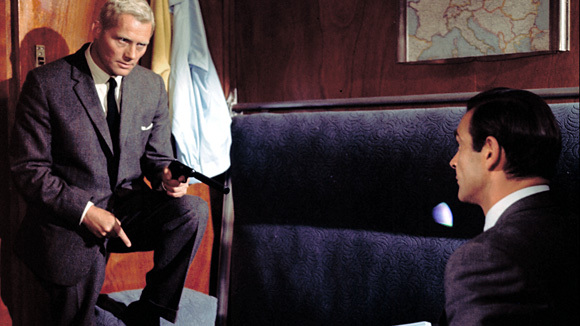 In the film, From Russia with Love (1963) James Bond (Sean Connery) fights with a rival spy aboard the train. 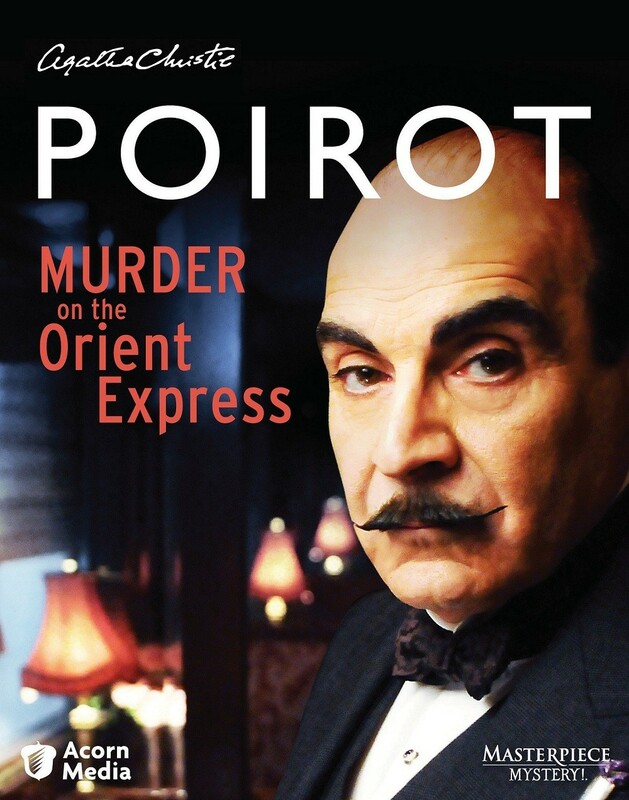 There have also been numerous television shows and made for television movies that feature the Orient Express such as, Istanbul Express (1968), a thriller, made for television, starring Gene Barry, Travels with My Aunt (1972), in which Henry Pulling accompanies his aunt, Augusta Bertram, on a trip from London to Turkey, and Minder on the Orient Express (1985), a comedy/thriller television film made as a spin-off from the successful television series Minder. In Mystery on the Orient Express, a television special featuring illusionist David Copperfield, Copperfield rode aboard the train and, at its conclusion, made the dining car seemingly disappear. There was also a syndicated TV series, Orient Express, in the early-to-mid-1950s. Filmed in Europe, its half-hour dramas featured such stars as Paul Lukas, Jean-Pierre Aumont, Geraldine Brooks, and Erich von Stroheim. There are several games and animations featuring the train. The role-playing game Call of Cthulhu RPG uses the train for one of its more famous campaigns, Horror on the Orient Express. The Last Express is a murder mystery game set around the last ride of the Orient Express before it suspended operations at the start of World War I. Robert Cath, an American doctor wanted by French police as he is suspected of the murder of an Irish police officer, and becomes involved in a maelstrom of treachery, lies, political conspiracies, personal interests, romance and murder. The game has 30 characters representing a cross-section of European forces at the time. Given the time that the Orient Express was in service probably just about any fine dish would have been served in dining cars at some point. But the menu from the first trial run seems the most appropriate from which to choose. The chaud-froid of game meats would be wonderful to recreate. A chaud-froid is essentially meat in an aspic jelly to which cream is added. But I have picked poulet chasseur because it is a favorite of mine. 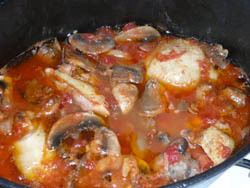 “Chasseur” is French for hunter, and the lyrical folklore is that this is a dish that hunters could make on the way home using wild mushrooms as the main flavoring ingredient (ditto the Italian chicken cacciatore). Sauce chasseur can be used for a variety of meats including game. It is a simple or compound brown sauce used in French cuisine made using demi-glace or an espagnole sauce as a base, and often includes mushrooms and shallots. It may also include tomatoes and a finishing of fines herbes. Sauce chasseur is thought to have been invented by Philippe de Mornay, who is also credited with inventing Mornay sauce, Béchamel, sauce Lyonnaise, and sauce Porto. Or you can buy it. It’s usually as good as homemade (if you buy the right stuff) and saves an awful lot of time. Heat the butter in a Dutch oven over medium-high heat and brown the chicken thoroughly on both sides. Add the chopped shallots and sauté until transluscent. Add the garlic, white wine, tomato, tomato paste, bay leaf, thyme, and salt and pepper to taste. Cover and bring to a boil. Turn the heat down and simmer for 10 minutes, then add the mushrooms. Cover and simmer another 5 minutes. DO NOT overcook the chicken. Using a spoon, transfer the chicken and solids to a heated serving dish and keep warm. Add ½ cup demi-glace to the pot. Bring to a boil and reduce to 1 cup. Season with parsley and tarragon and pour the sauce on top of the chicken. Serve at once with boiled new potatoes.